The January transfer window opens in less than three weeks’ time and Manchester United have been linked to a number of players. One of those is Arsenal playmaker Mesut Ozil, who is out of contract at the end of the season. The 2014 World Cup winner is yet to put to paper over a new deal at the Emirates and it is widely believed that if he doesn’t leave next month that he will move on a free transfer in the summer. However, the Mirror are now reporting that the Gunners are putting a late offer together in a bid to keep the 29-year-old at the club beyond his current deal. Us and Barcelona are both strongly linked with the German star who is able to sign a pre-contract offer with the Spanish giants and any other foreign clubs from New Year’s Day. However, none of that will be possible if Mesut Ozil signs a new contract with Arsenal this month. As a result, we have been rumoured to offering Arsenal cash in exchange for the player to both prevent our Premier League rivals from losing their former record signing for nothing, and to prevent us missing out on the player to Barcelona or another club. Arsenal have previously offered him a deal around £275,000-a-week but have yet to persuade Ozil to sign a new deal. Whilst Ozil may want to leave the Emirates to win trophies, being a free transfer would likely mean he could also demand a wage increase elsewhere courtesy of his future employers not needing to pay a penny to sign the player. Jose Mourinho previously signed Mesut Ozil for Real Madrid after the 2010 World Cup and the German went on to become one of the highest rated playmakers in the world during their time together. 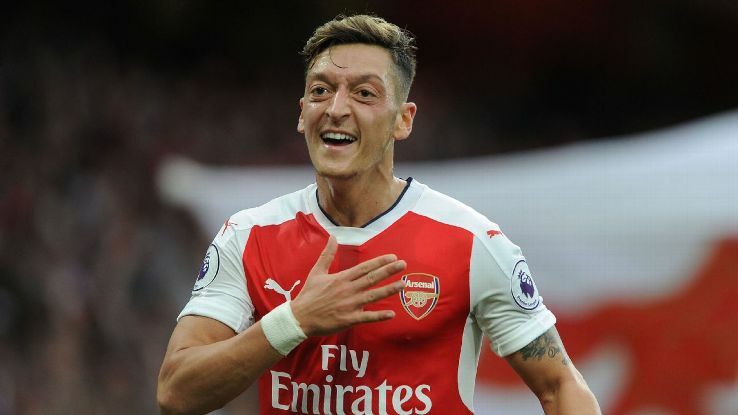 Ozil’s form has dipped since joining Arsenal but many are confident the boss could get the player back to his best if he moved to Old Trafford.